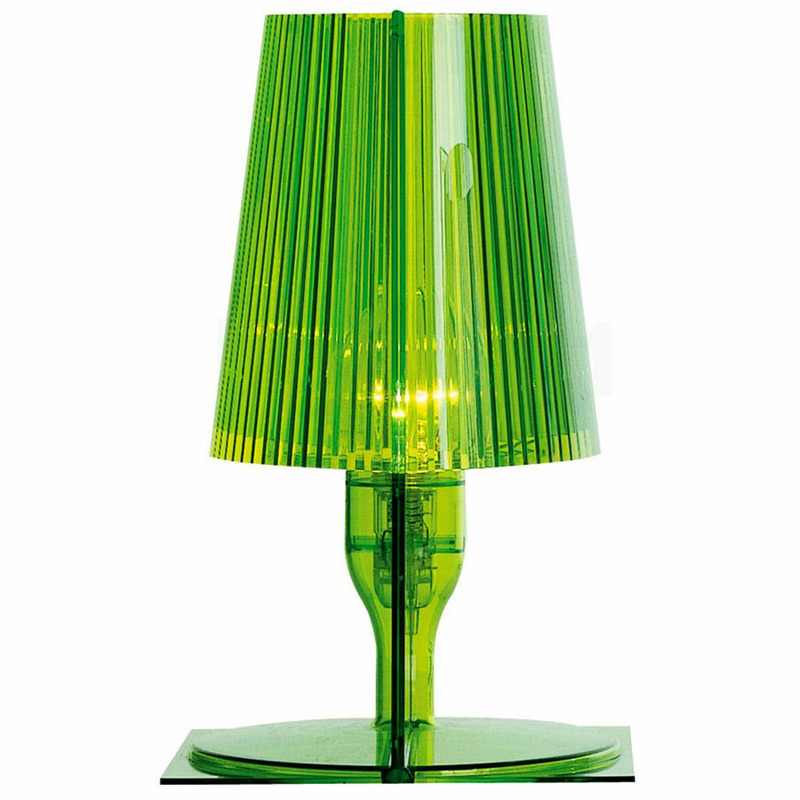 Kartell Take Lamp by Italian designer Ferruccio Laviania, a striking and utterly beautiful table lamp. 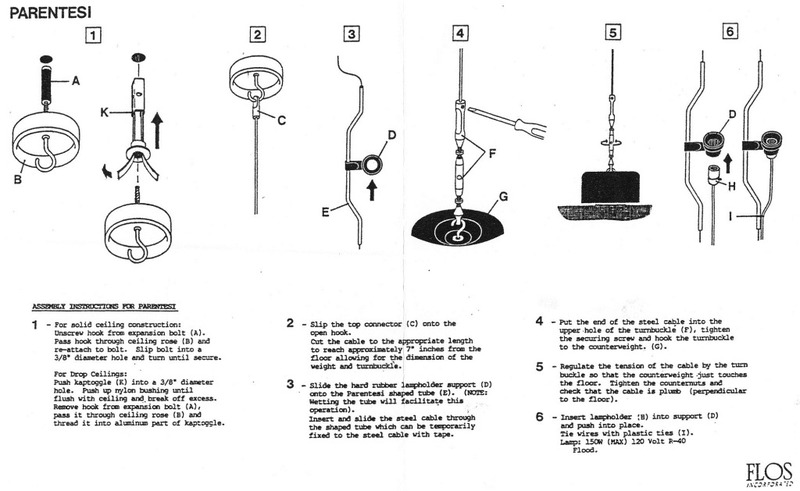 An award-winning Italian design light. With table lamps, you usually have to sacrifice function for a sleek look, or vice-versa. 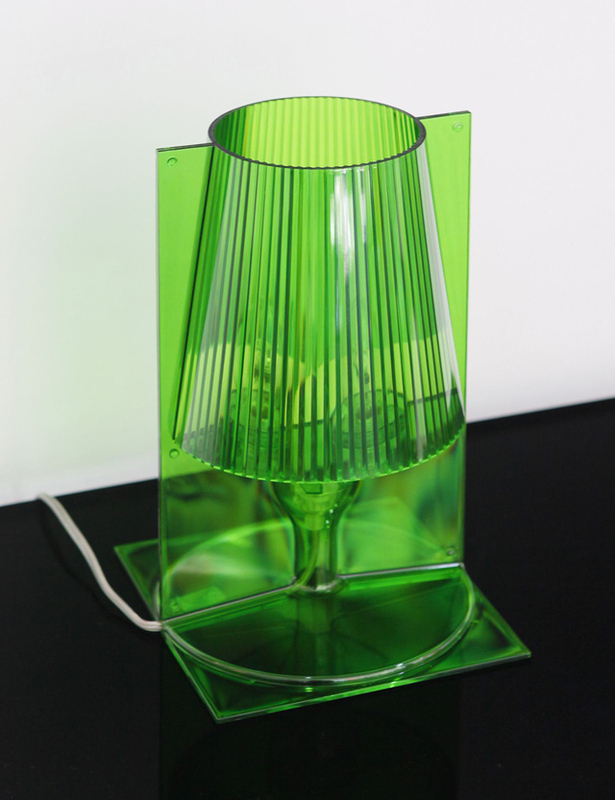 Not so with this bedside table lamp from Kartell. Take is perfect for the relaxed setting of the home and provides a beautiful way to light up your living room, bedroom or office. The Kartell Take Table Lamp happily transforms tabletops with its sparkling light rays and head-to-toe transparent crystal color. The Take Lamp, designed by Ferrucio Laviani, features two facing sheets of polycarbonate formed to create the lamp and a circle-on-a-square base. 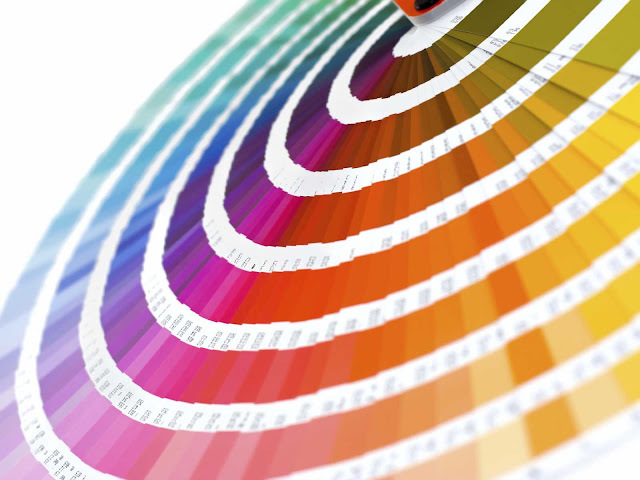 Kartell, headquartered in Italy, creates superb products through its commitment to project, design, and technological innovation. laviani went on to design whimsical, colorful furniture and objects that reminds us of its exuberant and expressive mission. 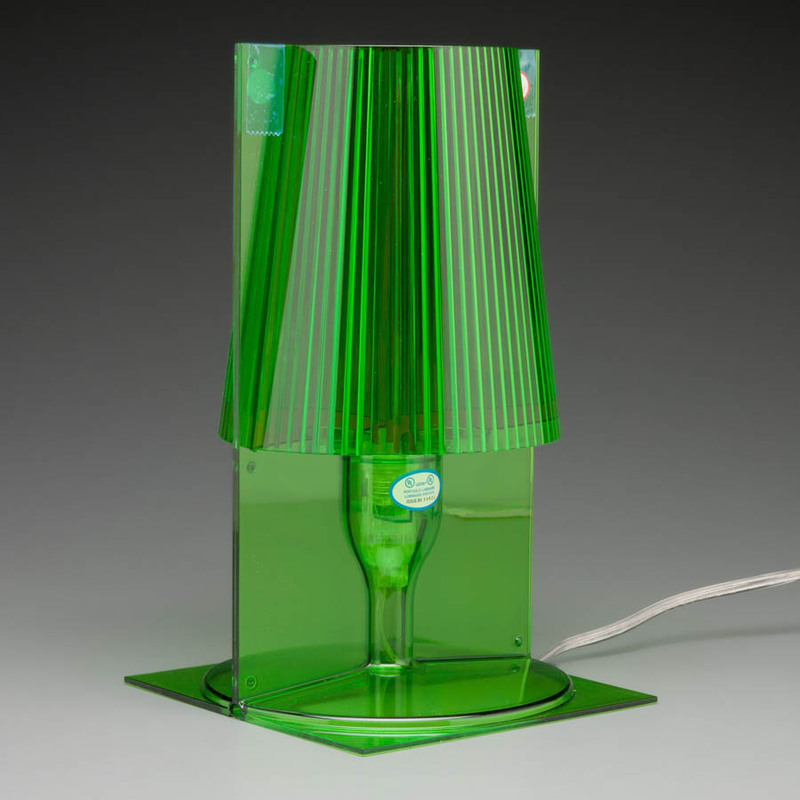 laviani's orbital lamp of 1991, perhaps his best known design, used color-saturated biomorhic shapes for the glass shades, and an angular, tapering metal base, bringing to mind the organic emphasis and optimism of the '50s, while his max table combines multi-use practicality with his signature curvilinear forms. ferruccio laviani marks the transition between his generation and those before him through his collaborations with his elders and mentors. 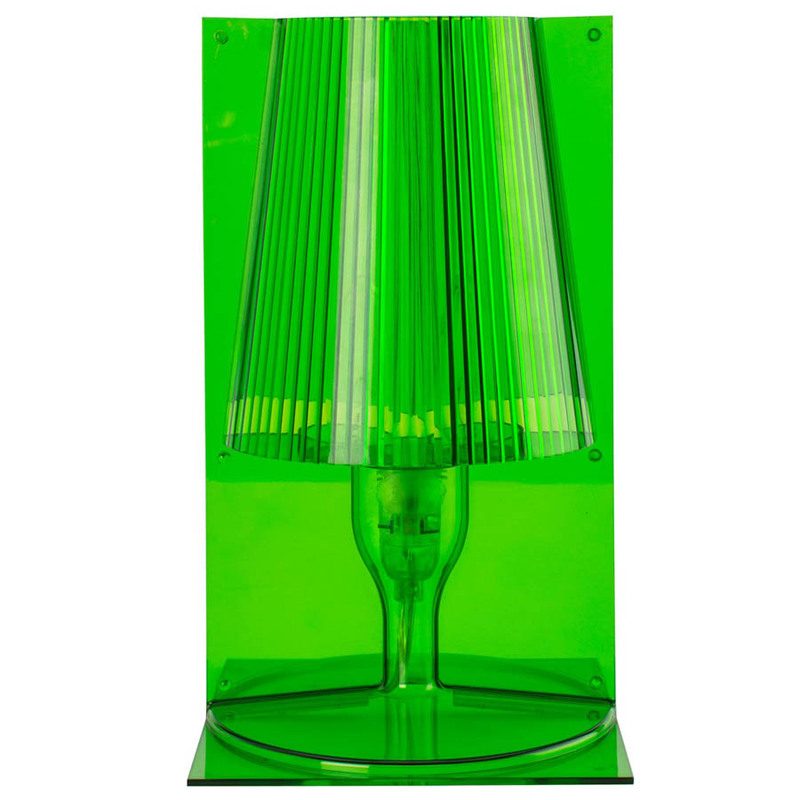 he's worked with kartell, foscarini, achille castiglioni, and ettore sottsass. 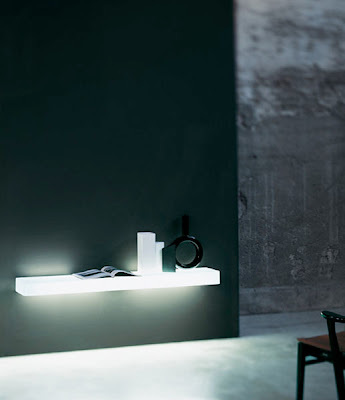 along with his talented colleagues, laviani exemplifies the best of italian design, present and future. ferruccio laviani is part of a generation of young italian designers who came to prominence in the early 90's when the memphis movement made its mark on international design. born in 1960, laviani studied both architecture and design in milan, graduating with a degree in architecture in 1986. soon thereafter, he took part in the "12 newcomers" memphis collection in 1986 and the "living on earth" memphis collection in 1987, launching his career with ties to the colorful and idiosyncratic design movement. 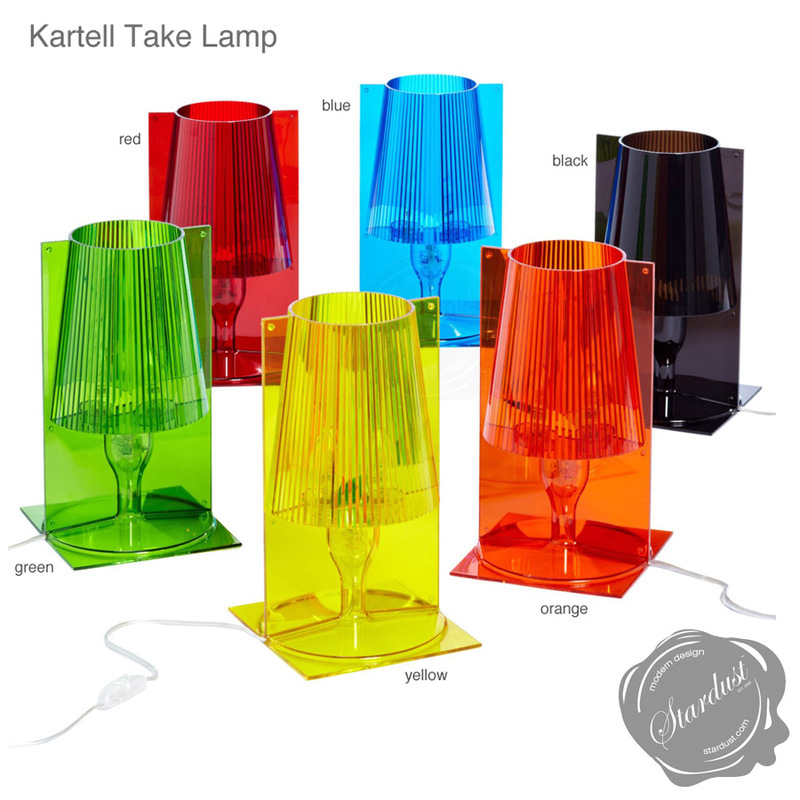 Check out the entire Kartell collection from Stardust.